[From their website] EdX is a not-for-profit enterprise of its founding partners Harvard University and the Massachusetts Institute of Technology that features learning designed specifically for interactive study via the web. Based on a long history of collaboration and their shared educational missions, the founders are creating a new online-learning experience with online courses that reflect their disciplinary breadth. Along with offering online courses, the institutions will use edX to research how students learn and how technology can transform learning–both on-campus and worldwide. Anant Agarwal, former Director of MIT's Computer Science and Artificial Intelligence Laboratory, serves as the first president of edX. EdX's goals combine the desire to reach out to students of all ages, means, and nations, and to deliver these teachings from a faculty who reflect the diversity of its audience. 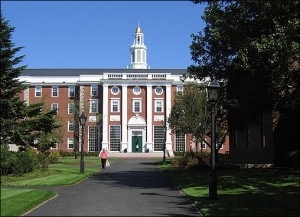 EdX is based in Cambridge, Massachusetts and is governed by MIT and Harvard. [From their website] Transfer thinkers into creators. [From their website] Learn almost anything for free. [From their website] Learn. Think. Do. Invent your future through free interactive college classes.